The Artificial Intelligence of Things (AIoT) will power a new era of autonomously-improving smart city infrastructure. With the global population projected to swell by nearly 2.5 billion between now and 2050, it’s up to city governments, cutting-edge private enterprises, and proactive citizens to ensure that cities meet the demands of the future. Fortunately, an emerging suite of tools is enabling smart cities around the world to do just that. Artificial intelligence (AI) and the Internet of Things (IoT) are operational technologies that cities are using to prepare for the influx of new citizens. With AI expected to add around $13 trillion to global economic output by 2030 and IoT spending projected to increase to $1.2 trillion within the next four years, there’s no shortage of optimism around these technologies. And cutting-edge use cases are beginning to suggest a convergence between AI and the IoT. The “AIoT”, or Artificial Intelligence of Things, offers a path forward for cities looking to not just gather valuable data from IoT networks, but leverage that data in the most efficient, most useful ways possible. As urban stakeholders look to maximize the benefits of emerging technologies while minimizing costs, the AIoT is poised to transform smart city infrastructure. 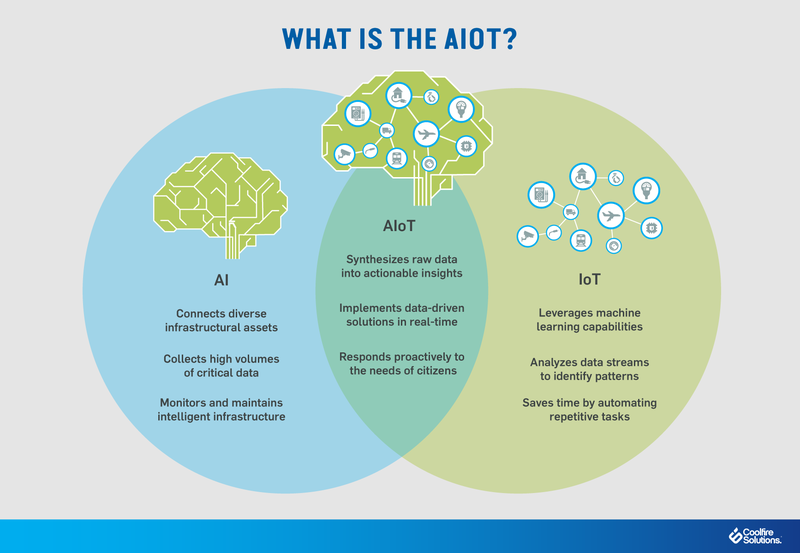 The AIoT merges machine learning with connected devices and infrastructure. The upshot is that beyond just collecting vast troves of information for decision-makers to sift through (and sit on), connected infrastructure can feed machine learning algorithms the data they need to make rapid decisions, adjustments, and optimizations. While neither AI nor the IoT are new by any stretch, the growing interplay between the two has exciting possibilities for a range of private and public applications. The wealth of information that has been collected by IoT sensors contains key insights into everything from smart urban parking and traffic congestion to air quality in urban areas like Taiwan. However, there’s simply too much data for cost-conscious institutions and enterprises to make heads or tails of it on their own. With AI, that information can be rapidly analyzed by intelligent platforms that understand how it relates to the real problems that cities face. Instead of struggling to keep up with raw data, AI makes it possible for decision-makers to not only gain actionable insights — but in fact to take action. How Can the AIoT Transform Smart City Infrastructure? For urban areas investing in smart city infrastructure, the AIoT represents a major step forward in their ability to transform insight into action. While many cities already have IoT technology embedded throughout their infrastructure, machine learning linked to that data can autonomously synthesize insights and craft solutions automatically. AIoT applications of this kind are mostly in their infancy, but some cities are beginning to tap into their potential to regulate public safety, support first responders, and more. For example, New York, Chicago, and Oakland have installed ShotSpotter sensors throughout their streets. When the system picks up a possible gunshot, it relays that information to police departments and first responders, including location, surveillance video, crime records, and gun permits for that area. By filtering raw data through platforms that understand what the information means for the lived experience of residents, the AIoT can make urban infrastructure more responsive to the needs of citizens. These capabilities aren’t reserved for public safety, however. The AIoT opens the door to a wealth of use cases like the regulation of utility grids, more insightful transportation systems, and buildings that can predict and deliver on the needs of residents and workforces. In order to make the most of AIoT initiatives, it’s imperative that smart cities understand the role that situational awareness will play in the urban environments of the future. For instance, while top-tier sensors embedded throughout cities’ landscapes may collect valuable data on everything from air quality to utility usage, it’s not helpful to stakeholders unless disparate data streams are not only analyzed properly, but visualized and delivered to the appropriate individuals in actionable ways. By building applications that make use of disparate data streams, AIoT projects can add tremendous value to the lives of residents and public servants alike. 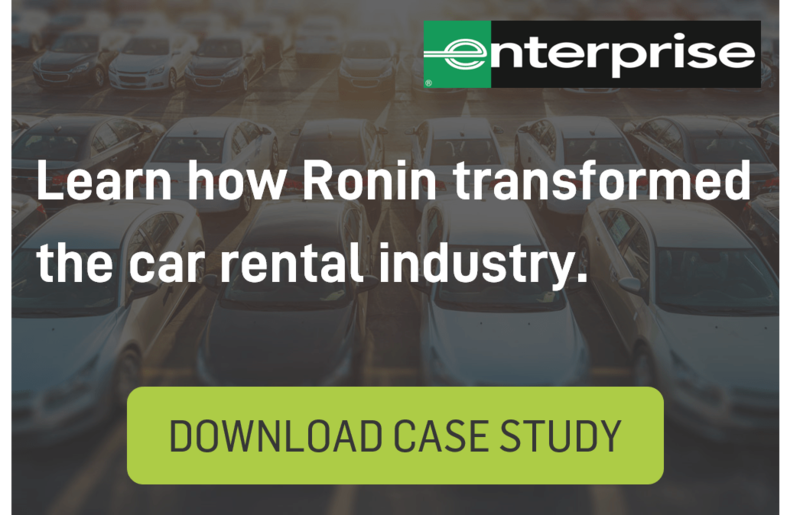 By interpreting and reorganizing data from networks of devices embedded throughout cities, data integration and visualization platforms can produce true situational awareness, measurable smart city ROI, and a better quality of life for urban residents.